Burwell House has been offering high quality learning outside the classroom to schools and settings for nearly 50 years. 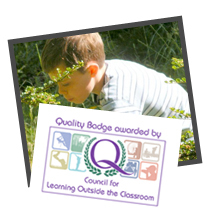 Our modernised 18th Century house and three acres of landscaped gardens provide a relaxed, friendly atmosphere for all our visitors and we hold the Council for Learning Outside the Classroom (CLOTC) Quality Badge in recognition of this high quality experience we provide. For residential visitors, the Centre accommodates between 20 and 56 children plus staff and we generally only have one school in residence at any time. This will give you a real sense of safety and security, and prevents the worry you may experience at some other larger Centres about the behaviour of other groups. For KS1 and KS2, our full time education team, all qualified teachers, offer a completely flexible and non-prescriptive partnership, tailoring a programme for your group with your staff. From the planning of a timetable, preparation of resources beforehand, and throughout the visit itself, our team will ensure everything possible is done to help every child make the most from their stay. For key Stages 3 and 4 and sixth form, we offer a perfect base for art and craft, drama, media studies utilising our TV studio or for geography field-work in the surrounding Fens. School trips with an overnight stay can be life changing experiences for young people. We are campaigning for Brilliant Residentials to enable more young people to experience more high-quality residentials, which can lead to improved resilience, relationships, achievement and brighter, brilliant futures for young people.